Say hello to Opalhouse! 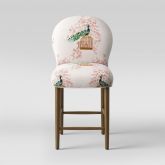 The colorful collection boasts more than 1,300 pieces for the home, spanning bedding, bath, décor, tabletop and furniture. 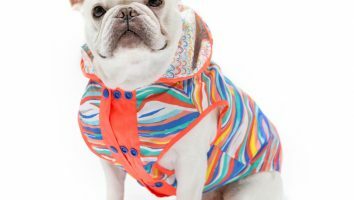 For the brand’s debut this spring, Target’s design team traveled far and wide to cities like Aix-en-Provence, Lisbon, Paris and Mallorca to gather inspiration to create a collection of authentically-inspired, eclectic pieces. 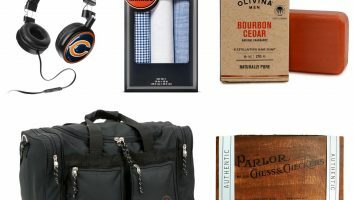 And with most items under $30, guests can incorporate the unique designs and elevated details (think pressed glass, jewel-tone silks and velvets, to name a few) into their homes without breaking the bank—no passport needed. 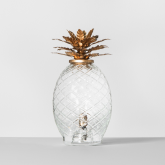 For a unique table lamp to go with your eclectic sense of style, look no further than the Glass Pineapple Ambient Lamp from Opalhouse. With the textured glass design and gold pineapple leaves to top it off, this lamp will give off a warm, ambient glow wherever you decide to place it. Set it on your entryway side table and mix it in with your favorite photos and decorative pieces to create a cool, funky vignette to welcome guests into your home. Who says pizza cutters have to be boring? The Stainless Steel Pizza Cutter from Opalhouse is a sleek and stylish kitchen utensil that will bring some life to your cutlery drawer. 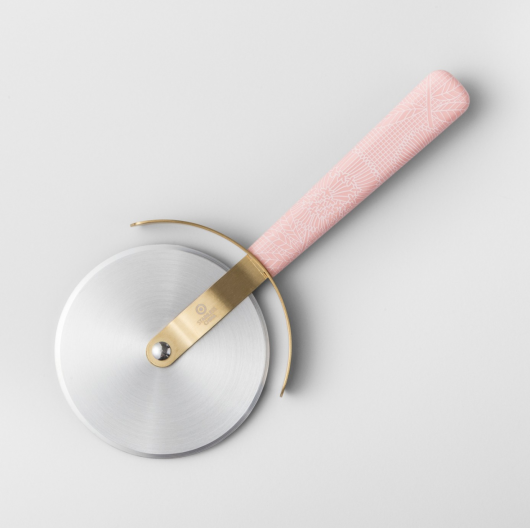 The pink handle features a subtle yet intricate floral design, while the touch of gold makes the cutter bold and unique. Best of all, it's dishwasher-safe, so you can easily get that ooey-gooey cheese off. 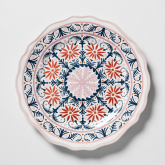 Expand your collection of dinnerware with the unique, pretty look of this Melamine Salad Plate from Opalhouse. 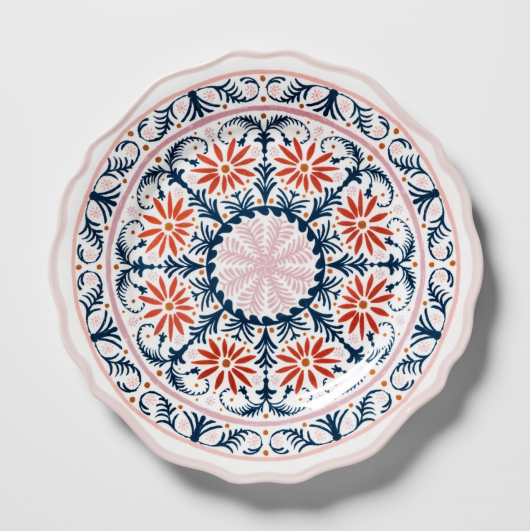 Whether you use the decorative salad plate to serve family and guests your famous kale salad or you put it on display in your antique china cabinet, it's the perfect piece to help show off your eclectic style. Plus, the sturdy melamine construction helps ensure easy handling and cleanup. 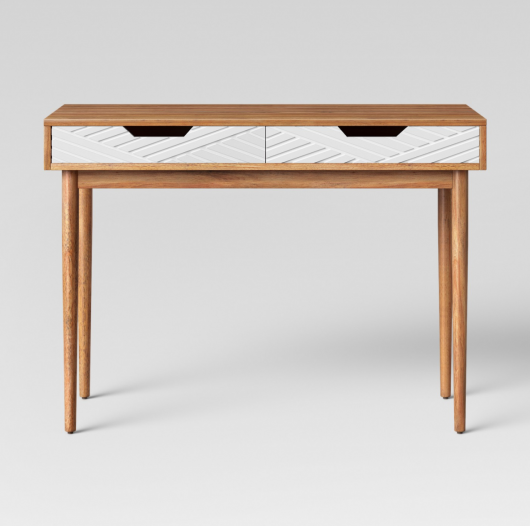 Get the work space you need with the Touraco Writing Desk from Opalhouse. 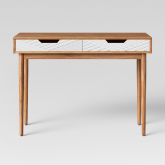 This two-drawer wooden desk features smooth, sleek legs and patterned white drawers for a unique look that will bring new life to your home office. The drawers feature handle cutouts for easy opening and are the perfect way to keep your electronics, books and miscellaneous must-haves tucked out of sight. 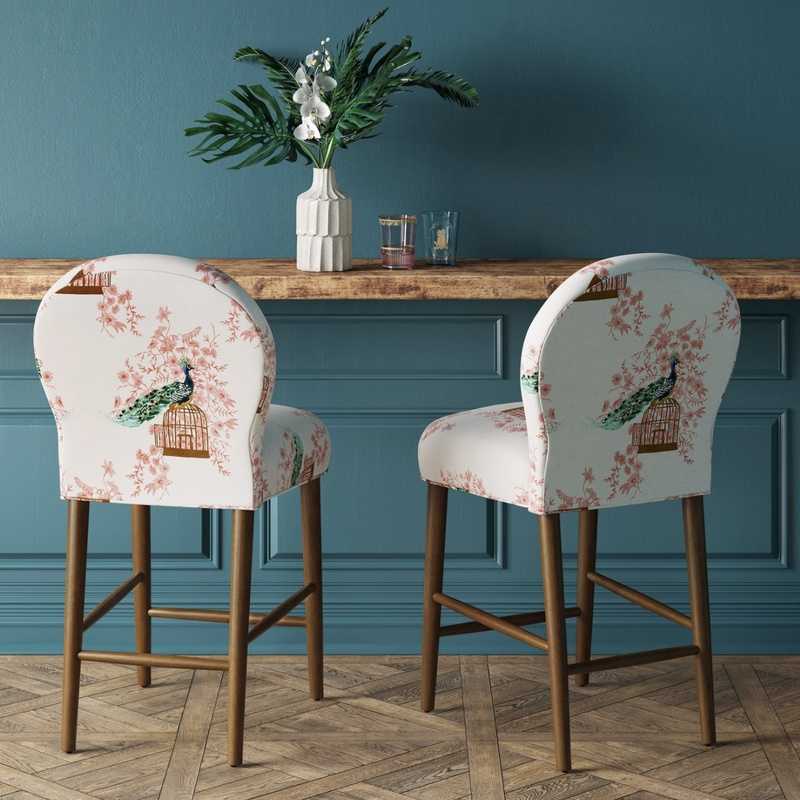 For a unique spin on stylish and comfortable seating, look no further than this Rounded-Back Counter Stool from Opalhouse. 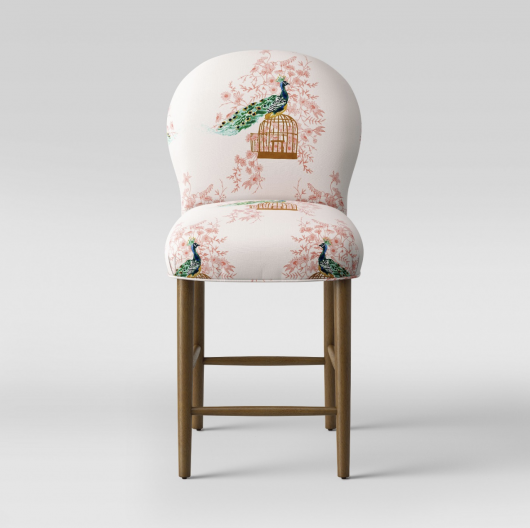 Upholstered in a soft 100% cotton fabric with a variety of prints to choose from, this chestnut-finished wood counter stool is sure to bring an interesting look to your decor - and the padded seat and footrest will make sure you stay sitting comfortably. Line a few of them up along your counter or kitchen island to create a warm, cozy spot where friends and family will love hanging out. 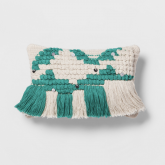 Create your own unique eclectic style in any living space in your home by adding this Fringe Lumbar Pillow from Opalhouse as an accent. 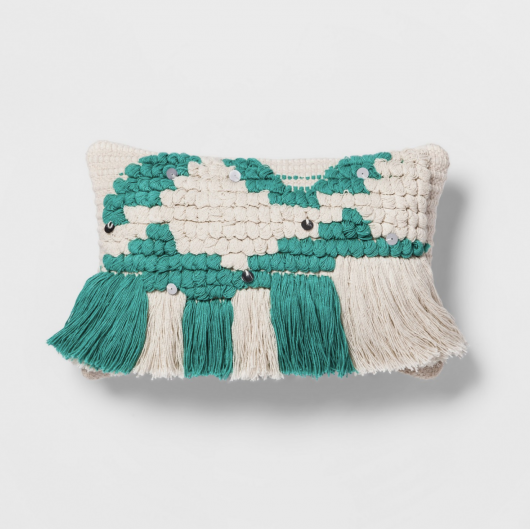 This decorative throw pillow features a unique two-tone tufted pattern, along with matching fringe along the front for dimension and texture. 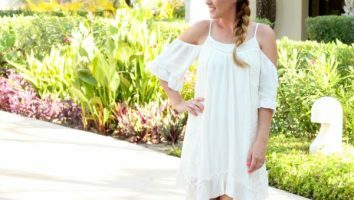 It also has shiny bead accents interspersed throughout for a pop of fun style. With a 100% cotton exterior for softness, this textured accent pillow can help you create eclectic style in any room. Store candy, flour, sugar, tea and more in the Floral Stoneware Canister with Wood Lid from Opalhouse. 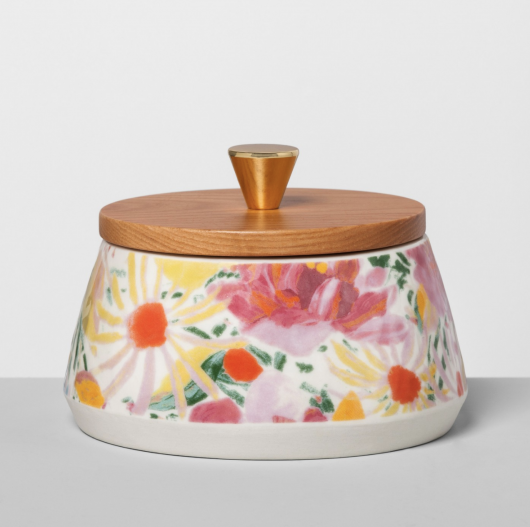 This stoneware kitchen container features a glazed finish over a bright and colorful design, bringing your lively artistic style into your kitchen. Place on your counter and let it pop against your backsplash, or keep it in your cupboard or pantry. 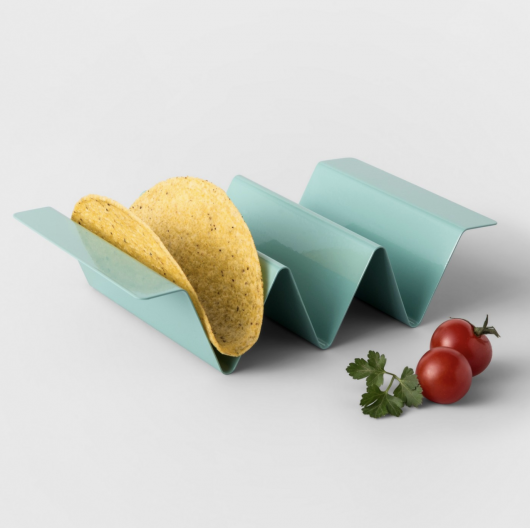 Make Taco Tuesdays even better with the Metal Taco Holder from Opalhouse. The green taco holder fits three tacos in their own separate spots and keeps them upright so that all your delicious toppings stay where they should. While the holder cuts down on mess and makes eating easier, its best feature is the artistic design. When taco night is over, simply hand wash the holder so it's ready for next time. We adore our pets and everything they do. 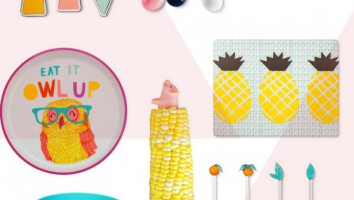 Why not spoil them with a few new accessories from the Oh Joy for Target pet collection? The Oh Joy for Target collections never disappoint. From dogRead More. 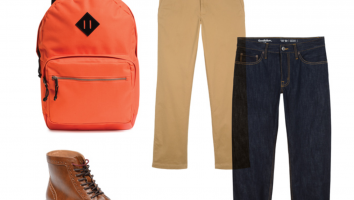 Target recently announced the launch of a series of new clothing lines and home decor lines. 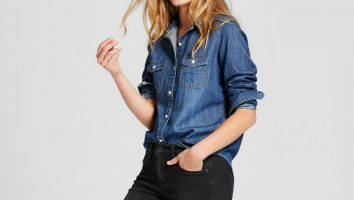 A New Day, a versatile, mix-and-match women’s brand—coming in September—will take you from weekend to work to dinner date,Read More.